Joan Duncan, the woman, is an inspiration. She accomplished much in her life journey, but her role as the female pioneer of the Jamaican money market didn’t begin until she was already in her fifties. She had a simple and ambitious dream: start a company where any Jamaican could walk in off the street, take a few hundred dollars from their pocket, and invest it. When they did, they would be greeted by team members who, motivated by love and truly having their best interest at heart, treated them with respect. In 1992, Joan Duncan virtually created the Jamaican money market, with the inception of Jamaica Money Market Brokers Ltd. Within no time, her company became Jamaica’s biggest money market trader. Joan was not the cookie-cutter image of the female corporate executive. Once, she was a struggling single mother, caring for five children. It was her will to make a difference that guided her to do great things. She built her way up from a humble teller to create the institution responsible for the development of the secondary market in debt securities in Jamaica. 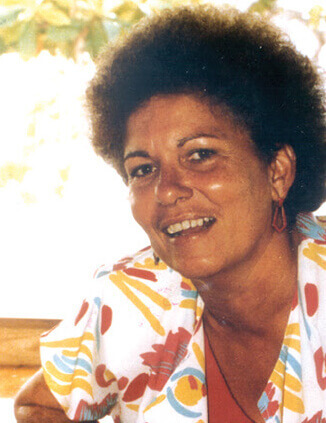 When Joan Duncan died at the age of 58, her dream had realized a solid capital base of $190 million and boasted four branches across the island, with over 20,000 accounts. Her uncompromising will and strong intellect helped her build JMMB; but, the true success stemmed from her profound spirituality and love. To this day, the entire JMMB team carries those values forward. Though Joan Duncan has ended her journey, now, we all agree that, it was mission accomplished. Dr. Lyon believed in the potential of Jamaica. As one of JMMB’s founders, he made it his mission to encourage financial independence and entrepreneurship across the nation. Originally from the parish of St. Ann, he graduated from Kingston College before beginning his international education. Beginning in Canada, he completed his undergraduate and graduate studies in Agricultural Economics at the University of Guelph in Ontario. Then he set his sights on Harvard University (Massachusetts, U.S.A.), where he attained a Ph.D. in Economics. During his 10-year stint, he acted as Managing Director, he experienced the profound effect financial institutions played in nation-building, providing loans to medium and large-scale enterprises. 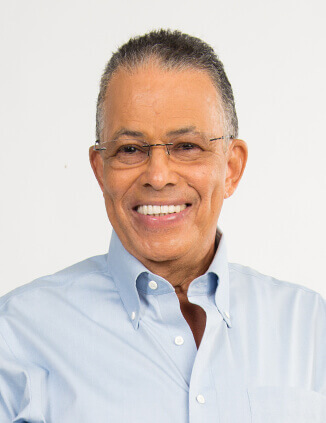 In 1991, Dr. Lyon took up the post of Managing Director of the Jamaica Venture Fund Limited. The entity’s role was to provide equity and/or quasi-equity investments in medium and large businesses in Jamaica. In 1992 in he co-founded Jamaica Money Market Brokers Limited (JMMB) alongside the late Mrs. Joan Duncan. Their vision was to start a financial institution that would make investing in the money market accessible to every Jamaican. To do this, they set the minimum needed to open an account at only J$1,000. JMMB quickly grew into one of Jamaica’s notable success stories, expanding its services to Trinidad & Tobago and the Dominican Republic. In line with their mission, JMMB has helped hundreds of thousands of Jamaicans to achieve their financial goals. Additionally, through its corporate social responsibility initiatives, JMMB has contributed hundreds of millions of dollars over the years, to various non-profit organisations and charities, especially in the areas of education, sports, health, youth development and entrepreneurship. Dr. Lyon retired from the post of Chairman of the board of JMMB Group Limited on December 31, 2016. Married with two children, “Doc,” as he is affectionately called by his colleagues, is known as a gentle and humble man who does not readily assume the ‘spotlight. As he puts it, he simply wants the ability to be able to anonymously walk in New Kingston to go and buy a Jamaican patty.